I love me some champagne, and I especially love dressing it up with different liqueurs for the different seasons! 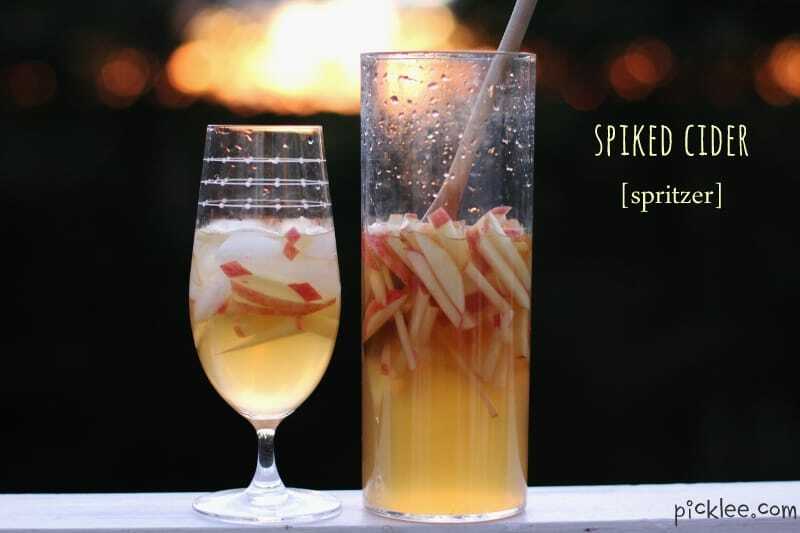 One of my favorite Fall champagne cocktails is the Spiked Cider Spritzer, which is a delicious apple cider cocktail I created using champagne and Dr. McGillicuddy’s Apple Pie Schnapps. You can find that scrumptious recipe here. That may be my favorite Fall champagne cocktail, but there are MANY more that will rock your WORLD! 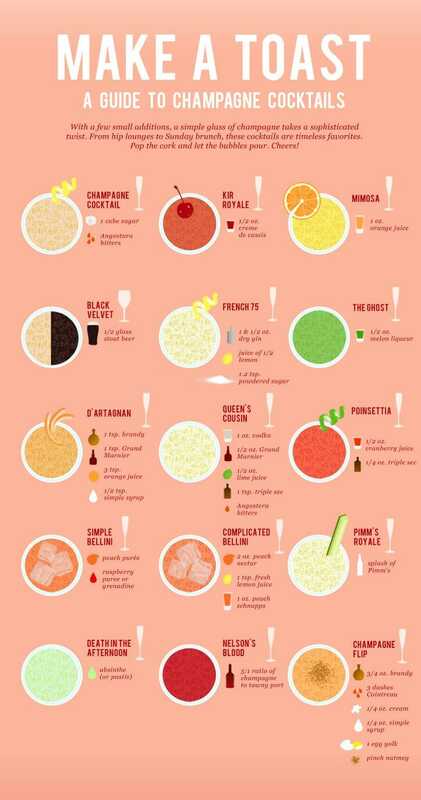 Check out this guide below for mixing up champagne cocktails that will wow guests at your next event, or even for treating yourself on a night in =) I’ll be making a couple of these champagne cocktails for our Thanksgiving guests! What are you waiting for? Start mixing!